Overprinting a company name or logo onto our stock range of plain bottle bags is fast & cost efficient when using our branding service. Paper bottle bags & carriers come in a range of colours & styles, designed not only to fit one, two or three bottles of wine & Champagne, but beer bottles & jars too. With a 10 day turnaround & low minimum order, WBC is your one stop shop for promotional merchandise & corporate gifting. Get in touch to start personalising your packaging today..
2 Colours based on approval of artwork. 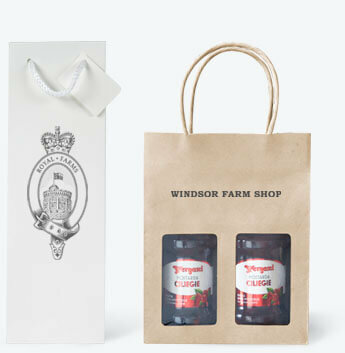 Choose a plain stock product from our extensive range of plain gift bags, including plain bottle gift bags and jar bags.